It's based on Windows 10 Enterprise and took two years of work. Microsoft and the Chinese government's relationship in the past hasn't been the best. That rocky past makes the news that the pair have worked together on a version of Windows 10 for government computers all the more interesting. It's based on Windows 10 Enterprise, but with a few tweaks. "The China Government Edition will use these manageability features to remove features that are not needed by Chinese government employees like OneDrive, to manage telemetry and updates, and to enable the government to use its own encryption algorithms within its computer systems," executive vice president Terry Myerson writes on the Windows 10 Blog. It wasn't an easy process. "Over the last two years, we have earnestly cooperated with the Chinese government on the security review," Myerson says. The fruits of that labor will go into place at the China Customs agency, the City of Shanghai, and Westone Information Technology. 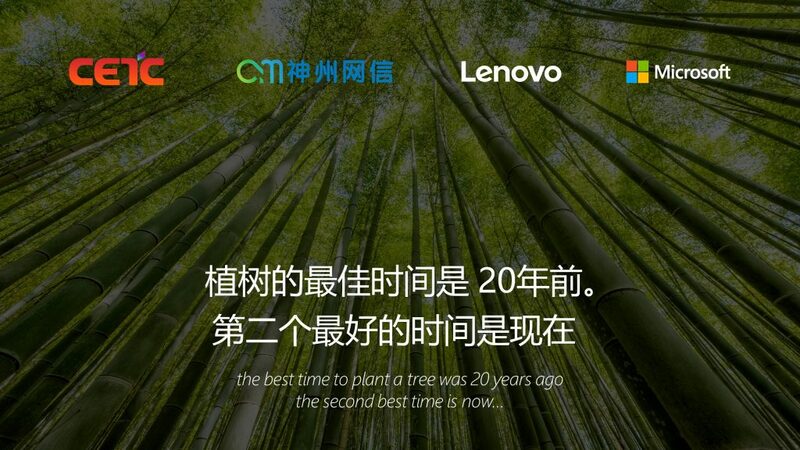 What's more, Lenovo will be among the first OEMs to preinstall the government's operating system on new hardware in the region.